This is a rapid matching card for all the family to enjoy, are you ready to 'Grunt n Go' a great game for 2-5 players. Do you speak Caveman? No! Well, here's your chance to learn. Shout out one of the Caveman words so everyone will know what to look for next.. 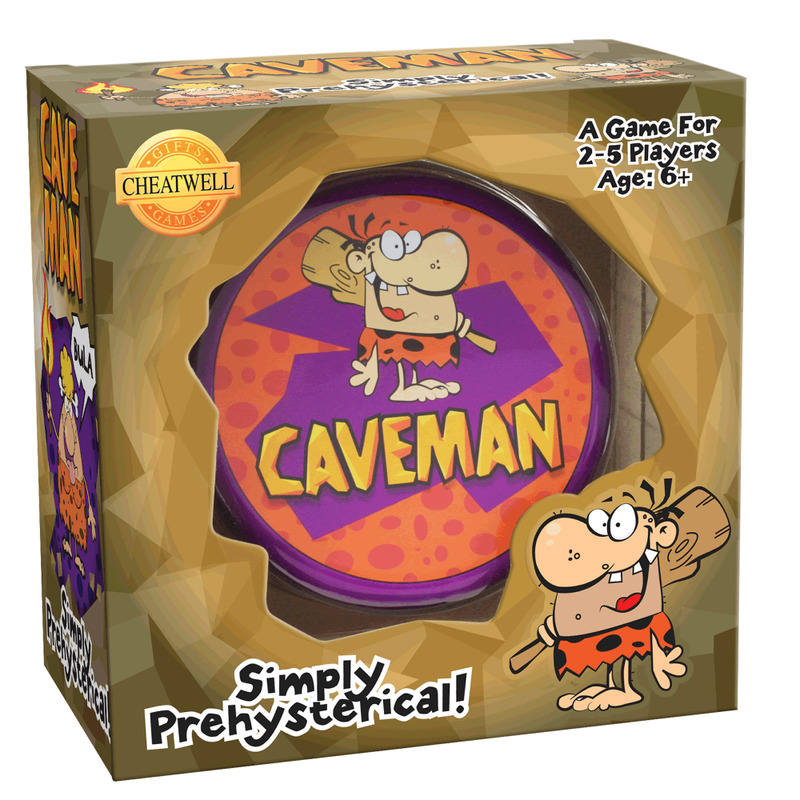 This is a rapid race card game to match and play all your cards before your 'Megalithic Mates' and Simply Prehysterical fun that is ideal for age 6+. Contents: game tin with 56 cards and rules.